Whitley Brow had 11 kills and 16 digs, and Aysia Mabry added four kills, four aces and 17 digs to help Foothill’s girls volleyball team outlast visiting Green Valley, 25-12, 21-25, 25-20, 8-25, 15-8 on Thursday. Kiley McCall had two kills, 30 assists, three aces and eight digs, and teammate Illiana Ortega notched 20 digs for the Falcons. Rachel Klopfer led Green Valley with 27 kills and 14 digs, and teammate Anya Olsen had 16 assists and 22 digs. Carlee Becker had nine aces and 14 digs, and Emily Flowers had 26 digs for the Gators, who also got 41 assists, four aces and 14 digs from Abigail Olsen. Legacy 3, Cimarron-Memorial 2 — At Cimarron, Shariya Vercher had five kills and seven blocks to help the Longhorns to a 25-17, 16-25, 25-11, 19-25, 15-13 win over the Spartans. Juliette Kirk added 43 assists, three aces and five digs for Legacy. Logan DeLong led Cimarron with 20 kills, 11 assists, four aces and 19 digs. Elise Young had six kills, 13 assists and eight digs, and Alexandra Payan notched five assists, four aces and 20 digs for the Spartans. Liberty 3, Basic 2 — At Basic, Maggie Heim had 21 kills, five aces and 12 digs, and Alexandra Farnsworth added 20 kills, five aces and 15 digs to help the Patriots top the Wolves, 25-21, 22-25, 13-25, 25-23, 15-10. Tehani Tapuala dished out 35 assists, and teammate Britney Coulter had eight digs for Liberty. Silverado 3, Coronado 0 — At Coronado, Sydney Berenyi had 16 kills and five digs to lead the Skyhawks to a 25-18, 25-21, 25-13 win over the Cougars. Mariah Morris had six kills, and Kaylynn Smith added six digs and three aces for Silverado. Zoe Lier led Coronado with six kills and six digs. Taylor Reich added eight kills for the Cougars, and teammate McCallister Gayle had five blocks. Sierra Vista 3, Bonanza 1 — At Sierra Vista, Faith Gray-Williams had 33 assists and nine digs to power the Mountain Lions to a 25-21, 25-17, 19-25, 25-11 win over the Bengals. 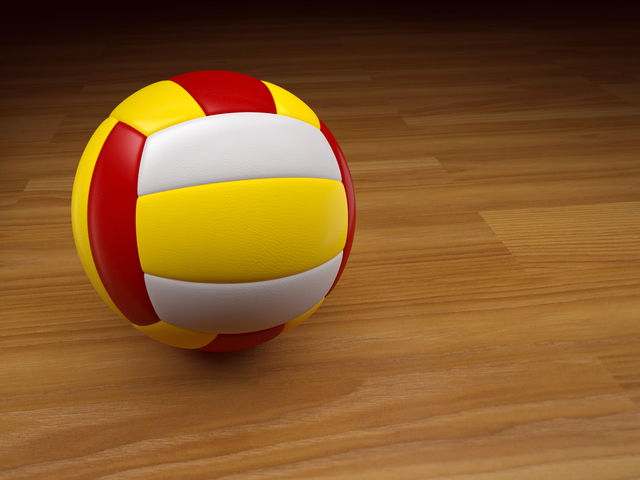 Shantalle Demirjian had 13 kills and 15 digs, and Aria Holmes added 10 kills for Sierra Vista. Chianna Rodriguez had 14 digs, Alexa Rodriguez had 10 kills, and Sydney Dunn notched 24 assists for Bonanza. Bishop Gorman 3, Spring Valley 0 — At Spring Valley, Tommi Stockham had nine kills, and Reese Rossnagel added eight kills to to lead the Gaels to a 25-12, 25-17, 25-18 sweep of the Grizzlies. Hanna Karl had six kills, and Sarah Lychock had 13 digs for Gorman, which got 29 assists and three kills from Sydney Lobato. Alleanna Thomson had seven kills and eight digs to lead the Grizzlies. Cashmere Buford had eight digs, and teammate Danielle Amonica added 14 assists and 16 digs for Spring Valley. Desert Oasis 3, Clark 0 — At Clark, Kaia Rhodes had seven kills and two blocks, and Kaaleya Price added eight kills to lead the Diamondbacks to a 25-6, 25-12, 25-15 sweep of the Chargers. Casedy Field had nine digs, and Emily Huynh had 22 assists and six digs for the Diamondbacks. Durango 3, Rancho 0 — At Rancho, Makenzi Abelman had 26 assists and 15 digs to lead the Trailblazers to a 25-16, 25-17, 25-22 sweep of the Rams. Naomi Harris supplied 12 digs and 10 kills, and teammate Olivia Harris added 11 digs and six kills for Durango. Mia Suzuki had 17 digs, and Karime Raygoza notched 12 digs and nine kills to lead Rancho. Tech 3, Del Sol 0 — At Del Sol, Makenna Faught had 13 assists to lead the Roadrunners to a 25-10, 25-15, 25-17 win over the Dragons. Mariah Jones had seven kills, and Lexi Luxenburg added four kills for Tech. Angel Jones had 10 digs, and teammate Gennessa Galibut supplied nine assists to pace Del Sol. Virgin Valley 3, Boulder City 0 — At Boulder City, Bernice Fiso had 14 kills, and Emma Barnum added eight kills as the Bulldogs cruised to a 25-17, 28-26, 25-18 sweep of the Eagles. Shalee Hafen had five aces, and Calee Clem dished out 25 assists for Virgin Valley, which got 15 digs from Taylor Barnum. Desert Pines 3, GV Christian 1 — At Desert Pines, Michelle Rhodes had five aces and five blocks to lead the Jaguars to the 25-14, 22-25, 25-10, 26-24 victory over the Eagles. Brianna Fitzgerald added seven blocks and three aces, and Vira Tavita had nine blocks for Desert Pines. Lake Mead 3, Adelson School 1 — At Lake Mead, Josey White had eight kills to help the Eagles down the Lions, 25-10, 23-25, 25-16, 25-22. Allee Butz added six kills, three aces and two digs, and Jacea Tillman had four kills for Lake Mead. The Meadows 2-2, Agassi Prep 0-0 — At The Meadows, the Mustangs defeated the Stars 25-10, 25-20 and 25-17, 25-18. Beau Thistle had seven aces and three kills to lead The Meadows in the opener. Hannah Mulholland had three kills, three aces and six digs, Anna Dorn had four kills, two aces and five digs, and Vivian Pallares had nine digs for the Mustangs. Ayanna McClendon led Agassi Prep with three kills and three blocks. Lovely Glinton added four kills, and Monet McGlone had three kills for the Stars. In the second match, Dina Kosyagin had five kills, two aces and three blocks to help The Meadows to the sweep. Dorn added four kills and 12 digs, Mulholland had four kills and five digs, and Pallares notched 12 digs for The Meadows. Glinton had five kills for Agassi Prep in the nightcap. Denise Parker had seven assists, and Darayon Moore notched 14 digs for the Stars. Moapa Valley 3, Chaparral 0 — At Chaparral, the Pirates swept the Cowboys, 25-16, 25-14, 25-13.